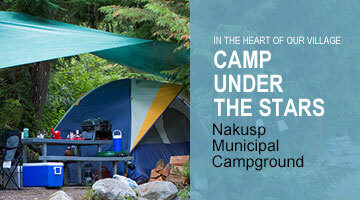 Nestled in the Kuskanax Valley in the foothills of the Selkirk Mountains, the Nakusp Hot Springs, Chalets & Campground are one of BC’s best kept secrets! 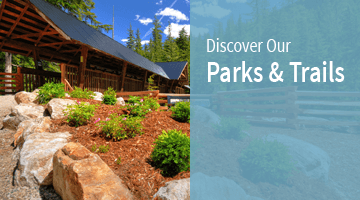 When your daily adventures are complete, you can relax and refresh in the naturally cleanest and clearest hot springs anywhere, and enjoy a stay at our comfortable, clean, yet rustic “Back Country Plus” Cedar Chalets. 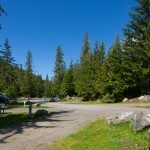 In the summer you can stay in our lovely Campground beside Kuskanax Creek. 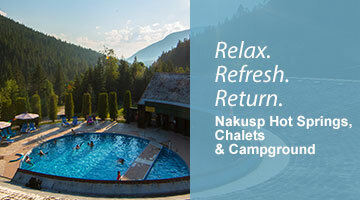 We proudly say there is something for everyone at the Nakusp Hot Springs. 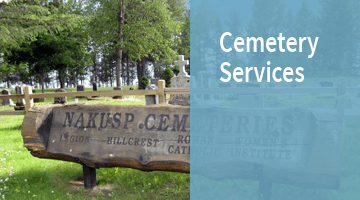 Nestled deep within the natural beauty of the Kuskanax valley, the Nakusp Hot Springs are community owned and operated and have the cleanest water and a view that is unsurpassed. 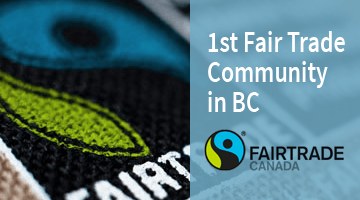 The Nakusp Hot Springs have the cleanest, clearest soaking mineral pools, with 200,000 litres of fresh, filtered water entering each pool every day. There are two pools fed by water from natural mineral springs set in the forest a ways from the pools. The Hot Pool is kept at 107°F(41°C) in the winter and 103°F(38°C) in the summer. The Warm Pool is kept at 100°F(38°C) in the winter and 97°F(36°) in the summer. 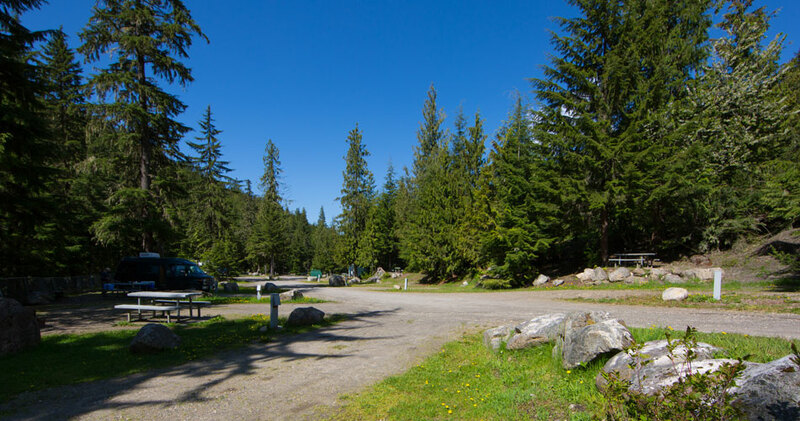 Relax in our spacious creekside RV and tenting campground, or one of our comfy Cedar Chalets, just steps away from the hot spring pools.